So here we are at the final post in this series on Miyoko Schinners’ Artisan Vegan Cheese and its been a very interesting experience for me. I started experimenting with veganism to lose some weight and explore any health benefits that may result from the exclusion of animal products. The transition proved to be surprisingly easy with the only exception being cheese. Well, after working my way through all these vegan cheese recipes I have found that not only is a vegan diet easier than ever to abide by but you also don’t have to subject yourself to pricey, flavorless, mass produced and processed alternatives to keep things tasty. With a little forethought and preparation you can keep eating many of the foods you love, and stay dairy free in the process. Now for the final cheese (aka the other cheese in the cookout pic from out Vegan Pub Cheddar post). Camembert is similar in many ways to Brie, so I thought it would be fitting to kind of come full circle and end kind of where we began. There were some differences, but flavors are close enough that you can also make Brie with this method (just need to cut the culturing time down to only 12 hours). 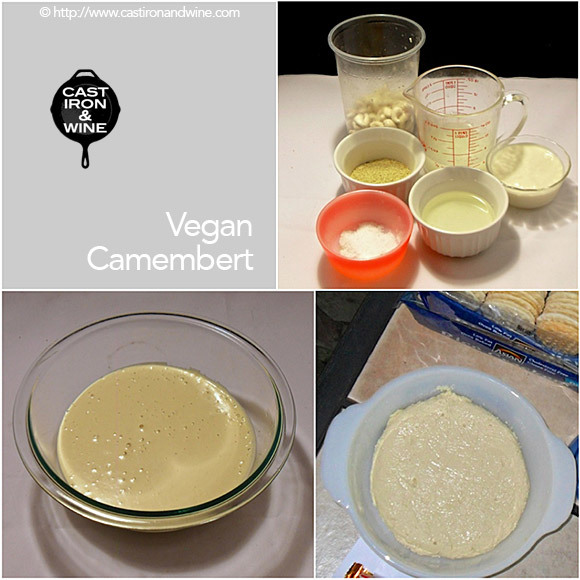 Unlike the Cashew Brie I covered in part 3 of the series, Camembert’s base and culturing agent is non-dairy yogurt. This makes for a much creamier texture and consistency it seems, or I just messed up the previous Brie so much that it just appears that way to me. (I’d put my money on the latter.) It almost has a rind to it, I wouldn’t really call it a rind as it was just a slightly drier and denser outside. The texture was soft and creamy, almost like real Camembert, and went amazingly well with my standby cheese vehicle of choice, rice crackers. This cheese screams decadent, it would probably go really well baked in puff pastry. So that ends our little foray into vegan cheeses, I hope everyone found it to be a pleasant experience. And remember, if you enjoyed any of these vegan cheeses and would like to take the plunge yourself I highly recommend picking up your own copy of Miyoko Schinners’ Artisan Vegan Cheese. 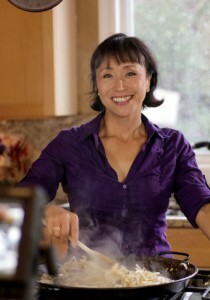 Mel’s side note: We recently got to watch Miyoko in action when we stumbled upon the Create channel’s Vegan Mashup. She really is like the Martha Stewart of vegan cooking, but much cooler. She sometimes cooks in her mother’s old kimono while somehow keeping the sleeves out of the ingredients (Spatial relations level: Expert). We were food-geekily excited to see what she actually looked like and to see her cook, and we were not disappointed. She is full of info about the food itself and keeps it simple for newbies like ourselves. She is vegan magic personified. Seriously. Process the ingredients: Put the yogurt, cashews, rejuvelac, oil, nutritional yeast, and 1 teaspoon of the salt in a blender. Process until smooth and creamy. Culture the cheese: Transfer to a clean glass bowl or container, cover, and let rest at room temperature for 24 to 36 hours, until the mixture has achieved the desired sharpness. Thicken the cheese: Transfer the mixture to a heavy medium saucepan and whisk in the tapioca flour and carrageenan. Cook over medium heat, stirring constantly with a wooden spoon, until bubbling, very thick, and shiny, 3 to 5 minutes. Form the cheese: Line a 6-inch round cake pan with cheesecloth or plastic wrap. Pour the mixture into the pan and spread it evenly. Let cool completely at room temperature. Cover and refrigerate for at least 4 hours, until firm enough to remove. Salt the cheese: Use the cheesecloth to gently remove the cheese from the pan. Put it on a drying rack and discard the cheesecloth. Wash your hands well, rinse them thoroughly, and while they are still wet sprinkle the remaining ½ teaspoon of salt over your palms. Gently rub the salt over the entire surface of the cheese. 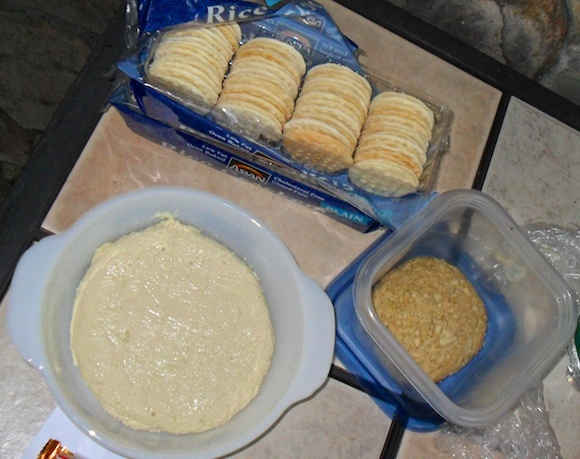 Air-dry the cheese: Put the rack and cheese in a cool place with good air circulation. Let air-dry for 24 to 48 hours, until a slight skin has formed but the inside is still soft and gooey (gently press the top to check).